This week, we’re staying real close to home, looking at all the ways to find a true taste of Texas in town, from historical museums and tours to restaurants serving real deal bbq and queso-soaked Tex-Mex. Houston BBQ Festival – Dig into smoked ribs, brisket, and more from some of the best pitmasters around at this yearly bbq festival. 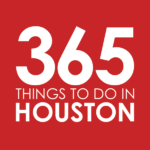 Houston Livestock Show & Rodeo – Every year around late February and early March, the Houston Livestock Show & Rodeo comes into town, bringing barrel racin’, two-steppin’, mutton bustin’, bull ridin’, and a lineup of live performances from top country artists and more. The fun all kicks off with Go Texan Day. Texas Crawfish Festival – Located in Spring, this annual crawfish festival brings the fun with plenty of music and mudbugs. Taco Tuesday – We all know how important tacos are in Texas, so while you’re inevitably eating them, you may as well snag a deal. Check out this list for the best Taco Tuesday specials around, and we’ve included some other daily taco and happy hour deals for good measure. 1940 Air Terminal Museum – Sitting in the old Houston Municipal Airport terminal building on the west side of Houston Hobby Airport, this was the first terminal built for passenger flight in Houston. The original Art Deco building houses collections, memorabilia, and exhibits that showcase the rich heritage of civil aviation and Houston’s fascinating aviation history. Battleship Texas – Commissioned by the U.S. Navy in 1914, Battleship Texas is the last remaining U.S. battleship active in both World War I and World War II. As the ship was continually outfitted with cutting edge technology (including advances in gunnery, aviation, and radar), it was considered the most powerful weapon in the world. Today, Battleship Texas is docked in the San Jacinto Battleground, a floating museum standing as a memorial to the bravery and sacrifice of the American troops and servicemen from both world wars. There are no fees to enter the grounds, but those who want to enter the battleship can take self-guided tours ($12), climbing 60 feet above the water to the Flag Bridge or 20 feet below the water into the engine room. Hard hat guided tours are also available five times a year (January, March, May, October, and November). The battleship is open daily from 10am to 5pm. Buffalo Soldiers Museum – This historical museum pays homage to Buffalo Soldiers, comprised of former slaves, freemen and Black Civil War soldiers who were the first to serve during peacetime. Exhibitions include a look at the Civil War, the Emancipation Proclamation, and Western expansion throughout the Texas frontier and more. Fort Bend Museum – Preserving the history of Fort Bend County, this museum offers an exhibit gallery and house tours of the 1883 John M. Moore Home and 1855 Long-Smith Cottage, offering special events from Texian Market Days to a Brazos Cultural Heritage Festival. George Ranch Historical Park – Make your way way-back into time at this piece of living history, which showcases more than 100 years of Texas history through educational and interactive programs. Wander through the gardens of the 1830s Jones Stock Farm, which was one of the earliest settlements in Northeast Mexico; take a journey through the 1830s and ’60s on the Heritage Trail, and get to know the George family by exploring the historic home and barns of the 1930s George Cattle Ranch Complex. The annual Texian Market Days, held in October, is one of the best times to visit, as families can get a taste of what pioneer life was like with hands-on activities, battle re-enactments, live entertainment and more. The Heritage Society – Visit to tour some of Houston’s oldest homes and authentically restored buildings while exploring Houston’s vast history, from before statehood to the oil boom. Lone Star Monument and Historical Flag Park – Show your Texas pride off at this public outdoor museum, which showcases Montgomery County as the birthplace of the Lone Star Flag. Get a glimpse of 13 towering historical battle and rally flags that depict those that flew during the Texas fight for independence, with a 14 ft. bronze sculpture known as “The Texian” at the center. The sculpture brandishes a Texas flag, serving as a symbol of a veteran volunteer in the Texas Revolutionary army. Explore the symbolism throughout the park and learn more about the fascinating history of the great Lone Star State. Sam Houston Boat Tour – Embark on a free 90-minute round-trip and educational tour along the Houston Ship Channel, complete with passing views of international cargo vessels and operations at Port Houston’s Turning Basin Terminal. The M/V Sam Houston, named after the legendary military commander who led the fight for Texas independence from Mexico and later statehood, has been operating as a public tour vessel since its inaugural voyage in 1958. Holding up to 100 passengers and available to individuals and groups, the 95-foot vessel features air-conditioned lounge seating and standing room outside on the boat’s deck. Reservations are required in advance and can be made online or by calling 713-670-2416. San Jacinto Monument and Museum of History – Soaring 570 feet into the air and topped with a 34-foot, 220-ton star, the San Jacinto Monument is the tallest stone column memorial structure in the world. The monument commemorates the decisive battle of the Texas Revolution, the Battle of San Jacinto. Delve deeper into more than 400 years of early Texas history at the San Jacinto Museum of History, located at the base of the monument. Admission to the monument and museum is always free, with special attractions including the Texas Forever! Interactive Experience, Observation Floor, and A Destined Conflict Exhibition available for purchase. The museum is open daily from 9am to 6pm. Space Center Houston – You’ll find a big part of Texas history (like Houston’s Mission Control) and more out-of-this-world exhibits and attractions at this massive space campus and educational complex. Take the NASA Tram Tour for a behind the scenes look at the NASA Johnson Space Center. Texas Seaport Museum – Explore the history of immigration to Galveston, aka the “Ellis Island of the West,” and explore the decks of the 1877 Tall Ship Elissa. Alice’s Tall Texan – With just Lone Star and Shiner on tap, this cash-only watering hole is a true Texas dive. Corkscrew BBQ – Located in Old Town Spring, this fan-favorite barbecue joint has been named one of the Top 10 in Texas. After starting out as a small catering business, the tiny pink-trailer-turned-brick-and-mortar has blossomed into an absolute destination for any barbecue enthusiast, near or far. Get glistening pork ribs, beautifully crusted oak-smoked brisket, and a killer over-loaded baked potato. D&W Lounge – See why this East End dive was named one of the “Eight Great Dive Bars of Texas” by Texas Monthly. El Real Tex-Mex Cafe – Get chile con queso, smothered enchiladas, Frito pie, and San Antonio-style puffy tacos at this Tex-Mex haunt. El Tiempo – Hit an outpost of this local Tex-Mex institution to dig into gooey chile con queso and towering parrillada mixtas, overflowing with things like carnitas, quail, shrimp, fajitas, lobster, and chile relleno served alongside fixin’s and scratch-made tortillas. Goode Company Armadillo Palace – This dance hall, backyard and kitchen is a tribute to all things Texas, with eats from grilled okra, Gulf oysters and crispy fried pork skins to carne asada, ribeyes and Texas venison chili with Fritos. Goodnight Charlie’s – Hit this Montrose honky-tonk for live music and dancing, an excellent lineup of whiskey, bourbon, beer, and eats from hot chicken tacos to 5 leches funnel cake. Houston Dairymaids – Shop for artisan cheeses from Texas farms at this local cheese boutique, located in the Greater Heights. Houston This Is It Soul Food – This Third Ward diner rocks soul food favorites, from smothered oxtails, chitterlings and turkey wings to fried chicken, ham hocks, and fried catfish. Laredo Taqueria – You’ll find some of the best breakfast tacos in the state at this fan-favorite taqueria. The Lone Star Saloon – Housed in a building that has been a neighborhood stalwart for over 120 years (the bar burned down in 2008, but the new setup meets all the criteria to keep in on the historic society’s list), Lone Star Saloon is one of the best place around to pop a cold one and get a taste of the country. On Thursdays through Saturdays, the stage draws musicians from around the state that gets the crowd going with live country jams. Covers range from free to $10. Lone Pint Brewery – One of the Lone Star state’s most iconic beers is Lone Pint’s Yellow Rose, a single malt and single hop IPA that you can sip it right from the source at this Magnolia brewery. Mel’s Country Cafe – Hit this old-timey spot to get an incredible, bigger-than-the-plate chicken fried steak, or go for the greasy spoon’s crazy Mega Mel burger challenge. The challenge works like this: finish the burger plate, featuring one and a half pounds of ground beef, a full pound of bacon, quarter pound of cheese and all the trimmings, in under 2 hours without help (and be able to walk and talk without getting sick), and you’ll earn yourself eternal glory. Oh, and a highly-coveted spot on the wall. The Monument Inn – In business since 1974 (reviving itself after both hurricane and fire damage) and with views of the Houston Ship Channel in La Porte, this waterfront restaurant serves about 80,000 pounds of shrimp and 25,000 pounds of catfish, crawfish, and fresh catches every year. Start with peel-and-eat shrimp, Gulf oysters, and crawfish bisque before diving into catfish, salmon and redfish, blackened, grilled or broiled and smothered. The Original Kolache Shoppe – Eating kolache is a Texan right of passage. Open since 1956, this mom-and-pop on Telephone Road will change the way you think about the beloved Czech pastries. That’s because it uses locally-sourced ingredients, old-school methods, and a whole lotta love to craft its from-scratch pastries. Get them in the form of traditional kolache filled with things like poppy seed, sweet cheese, lemon, and raspberry; or klobasniky stuffed with the classic combination of jalapeño and cheese. You also won’t want to miss the savory croissants, stuffed with deliciousness like roast beef, pastrami, and chicken fajita. The Original Ninfa’s on Navigation – Taste the OG fajitas at this Tex-Mex haunt, the place that helped sparked the fajita craze around the country and was named one of the best Tex-Mex joints in Texas. Mama Ninfa first began feeding locals from a small taco stand (and later a restaurant) in 1973. Today, Ninfa’s on Navigation is an institution thanks to their addicting outside skirt steak, darkened and served straight from a sizzling hot comal alongside scratch-made tortillas. Accompany your plate with queso, margaritas, tamales and more. Pappas Bros. Steakhouse – This homegrown steakhouse serves cuts of beef as big as Texas, from a 22-ounce dry-aged bone-in NY Strip to a 40-ounce porterhouse-for-two carved tableside. Pair your steaks with au gratin potatoes, creamed spinach, jumbo lump crab mac & cheese, and a world-class selection of wine. And don’t forget the gooey pecan pie for dessert. Ray’s BBQ Shack – East Texas-style barbecue rules the roost at this bbq shack, from smoked boudin and garlicky beef sausage links to specials like the Thursday-only ‘qued oxtails. Tacos Tierra Caliente and West Alabama Ice House – It doesn’t get more Texas than this local one-two-punch. Grab some cheap tacos al pastor at the Tacos Tierra Caliente food truck, then wash them down with Lone Stars at neighboring old-school dive, West Alabama Ice House. Taste of Texas – Texas hospitality meets big ol’ steaks at this laidback steakhouse, where you can pick your beef and fill up on the colossal salad bar. Tejas Chocolate Craftory – Another of Texas Monthly’s “10 Best BBQ Joints in Texas” list is this Tomball spot. Not only does Tejas Chocolate Craftory make some seriously excellent artisan chocolates, it also makes some seriously excellent barbecue. Hit the dual concept to grab truffles and chocolates in unique flavors like jalapeño fig and key lime pie, then fill up on barbecue salt-and-pepper-kissed, fat-rendered smoked brisket, and ribs by the pound, plus some chocolate bread pudding with cajeta caramel sauce for good measure. Treebeards – This local mini-chain has been serving up Southern comfort foods for 40 years, with house specialties like the red beans & rice, jambalaya, duck gumbo, and shrimp éttoufée. Urban Harvest Farmers Market – One of the best ways to get a taste of the Lone Star state is to shop for fresh produce, meat, and eggs from local farmers and ranchers. You’ll find it artisans and vendors at Houston’s choicest farmers market, held Saturdays year-round and Wednesdays in the spring and fall. Villa Arcos – See why Villa Arcos’ super breakfast tacos, filled with things like eggs, beans, potato, chorizo, and chicharrones, have become an East End staple. White Lightning Dancehall and Saloon – Located in Humble, this massive dance hall offers live country and Spanish music alongside whiskey, bourbon, scotch, and moonshine. Cypress Trails Ranch – Feel like a true cowboy with a trail ride at Cypress Trails Ranch. Owner Darolyn Butler started riding before she could walk, and she eventually went on to become an International Endurance Champion. Now she shares her expertise right in Humble. Featuring endurance and pleasure riding opportunities and a boarding stable, the ranch is open to the public 7 days a week. Houston Texans – It wouldn’t be Texas without football. Catch the Texans (or maybe even the Cowboys) play at NRG Stadium. Sam Houston National Forest – One of four national forests in Texas, this massive 160,000-acre forest is spread over three counties (Montgomery, San Jacinto, and Walker), with over 47,000 acres in Montgomery County alone. It’s the perfect spot for fishing, bird, and wildlife watching, and biking and camping, but one of the highlights is the award-winning 128-mile Lone Star Hiking trail, which has been dubbed the hiker’s “Jewel of Texas.” It features more than a dozen access points and consists of three major sections, one of which is the 40-mile Lake Conroe portion, lying west of Lake Conroe and beginning near the intersection of FS 219 and FM 149.